- To Koh Phangan or Kho Samui. - To Ang Thong Marine Park or Dolphin Chater : Price is 34,000 THB(Exclude VAT). 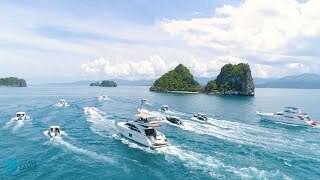 - To Koh Tao & Nang Yuang : Price is 38,000 THB(Exclude VAT). - Lunch for 2 guests. - Admission fee for 2 guests. - Half day to Koh Tan : price is 22,000 THB(Exclude VAT). - Half day to Koh Phangan : price is 26,000 THB(Exclude VAT). - Half day to Dolphin Chater : price is 30,000 THB(Exclude VAT). - Snorkeling equipment and fishing equipment upon request. - Extra guests charge at 1,000 THB for lunch and admission fee.